This month I decided to break my "local only" rule for the upcoming Burlington Book Festival (September 25 to 27) and introduce you to an author who will come to Vermont for the event. Vanessa Blakeslee is the author of Juventud, forthcoming in October from Curbside Splendor Publishing. This novel has a great subject: love, death and revolution in violence-ridden Colombia at the turn of the millennium. I couldn't resist a look inside. A Florida resident, Blakeslee does have a local connection: She earned her MFA at the Vermont College of Fine Arts. Here's an interview with her in Green Mountains Review about her short-story collection, Train Shots. She's been the recipient of several fellowships and awards. Blakeslee will appear at the BBF on Saturday, September 26, at noon, in the North Lounge of Billings Memorial Library at the University of Vermont. It's 1999 in Santiago de Cali, Colombia. The Marxist guerrillas have been at war with the government for 40 years and, caught between the two, the civilian population bears the brunt of the conflict — "one- to two-million Colombians displaced from their villages by the bloodbaths." As the novel opens, none of this matters much to the narrator, Mercedes Martinez, a teenager who lives outside the city on her father's expansive sugar plantation. Protective Papi and his money insulate her from the misery; an armed driver takes her to school. Her main concern is that she's "almost sixteen and still no boyfriend." Then Mercedes falls in love with Manuel, a young man with a Catholic activist mission; he and his two brothers belong to a church-affiliated pacifist group called La Maria Juventud Para Justicia Social [La Maria Youth for Social Justice]. They tell Mercedes that there are things about her beloved Papi she doesn't know — how he really amassed his fortune, how his parents died, perhaps even why Mercedes' American mother left him. They show her evidence that her father committed a brutal murder — perhaps one of many. Papi pressures Mercedes to forget Manuel and apply for boarding schools in the U.S. Instead, she begins attending demonstrations and rifling through her dad's belongings. But a threatening phone call tells her she could be on a dangerous path. "For years I kept my only photo of us propped against my bedroom mirror, until I lost it — the fading print unframed, each crease memorized." "I never imagined living anywhere but Colombia, if not Cali, where the mist hovered along the dense jungle of the mountainsides like the smoke from my father's cigars, and the salsa pulsated from the clubs at night." "So this was how life could just end, one instant chatting about boyfriends over the beats of reggaetón and the next, smashed or shot?" I've reached p. 129 (out of 335) and will probably continue. Some novels you read for a narrator's strong voice or a great story; others you read because you want to be transported somewhere you've never been. The setting of Juventud pulled me in instantly. Blakeslee establishes the atmosphere of Cali with my "favorite sentence" above and just keeps building it, detail after detail. How accurate is that setting, given that Blakeslee doesn't share Mercedes' Colombian background? On this point, I defer to those with first-hand experience. I can only say the book seems to have been thoroughly researched. There are awkward moments when Blakeslee dumps exposition straight into her narrative — for instance, in the fourth paragraph, when she introduces the guerrilla armies of the FARC and ELN. In general, though, she works information more organically into the story. For instance, we find out that Mercedes dreams of being a flight attendant. She has plenty of air travel experience, because people of her elite class take planes even on short domestic trips — "the safest way to avoid roadblocks and kidnappings on rural routes." When the ELN nonetheless hijacks a domestic flight and takes the passengers and crew into the jungle, Mercedes imagines "the flight attendants in their snug skirts — tumbling up the jungle paths, heels stinking in the mud, faces smacked with insects and heat." We're getting this piece of history from the point of view of a teenager who, as teenagers do, relates everything back to herself. Yet that intimacy just adds to the book's immediacy. The biggest problem I have with the book so far is that Mercedes and Manuel feel like generic — if believable — characters. While Papi comes to life as a big-hearted man with a dark past — a man of conflicting impulses — the young people don't have enough individuality to make me invest in their Romeo and Juliet romance. Perhaps that's the point, though. In the novel's first paragraph, the narrator — clearly an older and wiser Mercedes — asks, "First love — was that what drew us together, and nothing more? How have I spent the last fifteen years punishing the wrong man?" I still don't know what she means — blame for what? who's the "wrong man"? And that curiosity keeps me reading. I have a feeling Mercedes' coming of age will be a bitter one. Juventud makes an excellent pairing with Netflix's series "Narcos," which begins a few decades earlier and traces the rise of the Medellín Cartel. 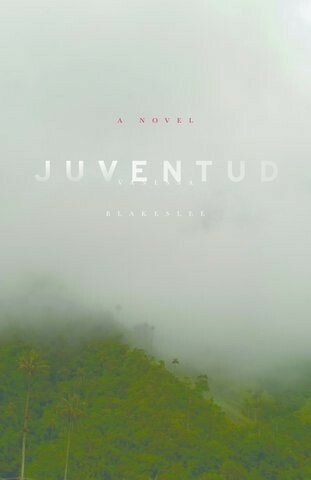 While the series — shot in Colombia — focuses on those who drove and helped maintain the violence there, Blakeslee's novel traces its eventual effects on one young woman's life. Together (and with the caveat that both take some poetic license), they're a crash course in the history of a place I didn't know at all.